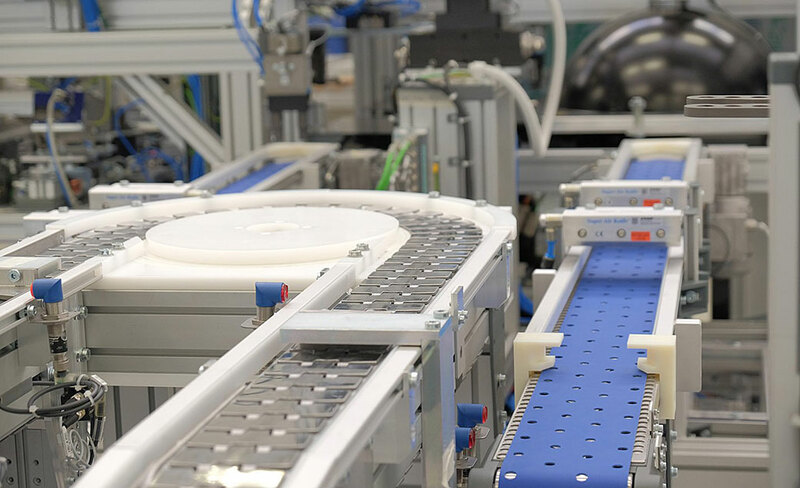 Belt conveyors are often at the heart of factory automation. They link machining and processing stations and can act as buffers for controlling the flow of materials, improving material transport times. The TSG workpiece carrier transfer system combines the advantages of rapid assembly and effortless integration into existing systems thanks to precisely aligned components and simple handling.